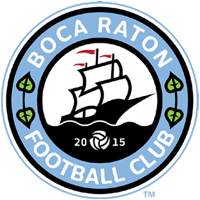 BOCA RATON, FL – This Sunday, Boca Raton FC will travel to Jacksonville for the second game of a four game road trip. Boca Raton will take on the Armada, who are currently the third-best team in the Sunshine Conference. After last weekend’s draw of 1-1 against Miami United, the Boys in Blue are hungry to pick up more points on the road. Boca Raton will look to earn another positive result away from home, but need to display an impressive performance against a strong Jacksonville team. In May, Boca Raton FC and Jacksonville met for the first and only time. The Armada came out on top at The Shipyard, winning 2-1. Boca Raton FC – Michael Stone has been a key player for Boca Raton FC since returning from his first year at Amherst College. The 6’ 2” goalkeeper was named the player of the game in the away draw against Miami United. After limiting the Sunshine Conference’s most dangerous attack to just one goal, Stone and the Boca Raton backline will look to keep a clean sheet in Jacksonville. Jacksonville Armada – Alhassane Keita scored both goals in Jacksonville’s early season victory over Boca Raton. In the 2015-16 APSL season, the Guinean striker made 43 appearances, playing 3,199 minutes and scoring on 13 of his 76 shots on goal. Tickets will be on sale at the door. The game will broadcasted live on Boca Chamber Radio.